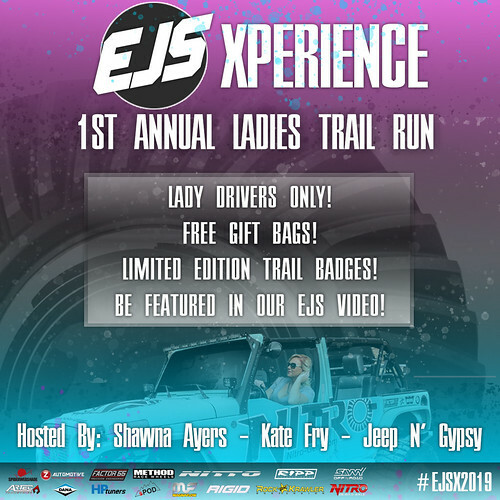 We're PROUD to be hosting the 1st Annual Ladies Trail Run during Easter Jeep Safari 2019 - Yes! This run is part of EJS Experience & there will be Free Gift Bags, and Limited Edition Trail Badges handed out to our participants. It's going to be so much fun! !